We were so lucky to have a lovely birthday weekend for my twins this bank holiday, which also involved a trip to Marwell Zoo. It is only 20 minutes down the road from us but we haven’t been in years and years. My twins who are now 9 don’t remember the last time we went! 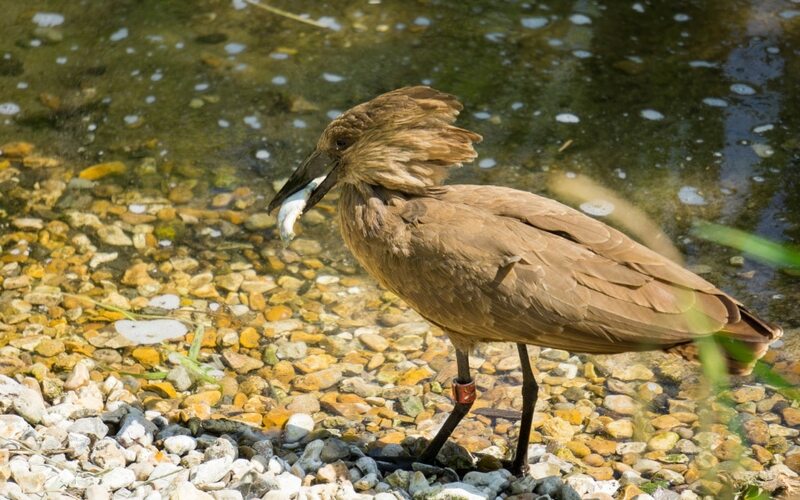 We were invited along to visit, see what’s changed since we’ve been and to see the new Tropical House. We arrived for opening which was 10am and the car park was filling up pretty quickly already. Everyone else had the same idea of visiting on such a lovely weekend. The car park is a short walk away from the entrance which was manned by lots of tills so the queues were going down pretty quickly. Marwell Zoo don’t have maps for you, so look out for the map boards around the park but also they have launched a Marwell Zoo app for your phone. This has a map on and marks your position on where you are too. I love this idea as it cuts down on the paper being used. First place we visited was the Penguins! 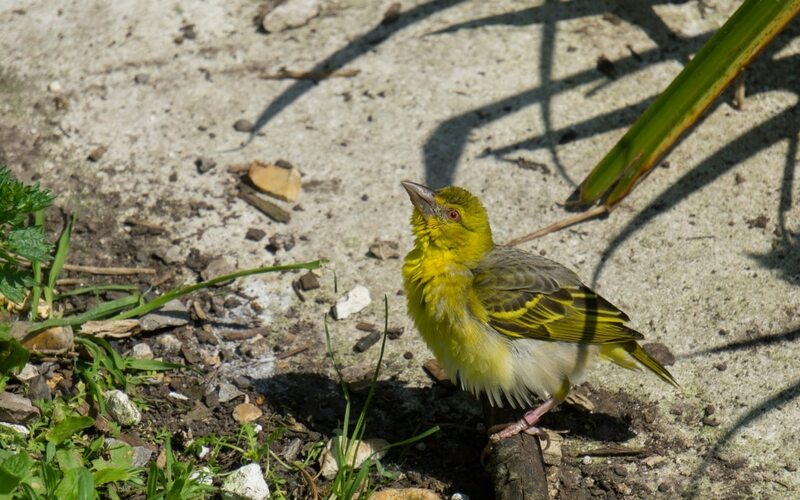 You can view them from above ground whilst they were sunbathing! Or go down and see them swimming underneath too. The kids loved this bit! 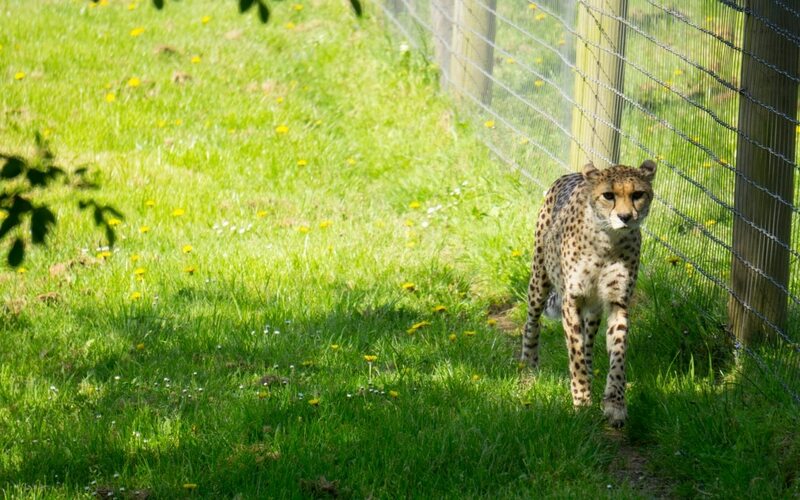 What I love about Marwell Zoo is how spaced out things are, you feel a real sense of space and nice areas for the animals to roam around. This also means the people aren’t squished in together, so on a busy day like we visited it was pleasant. We saw so many animals and it was good fun to photography them too! I had a couple of instances where I was just about to walk off thinking I wouldn’t be able to capture them, for them to come right up and walk past for me! 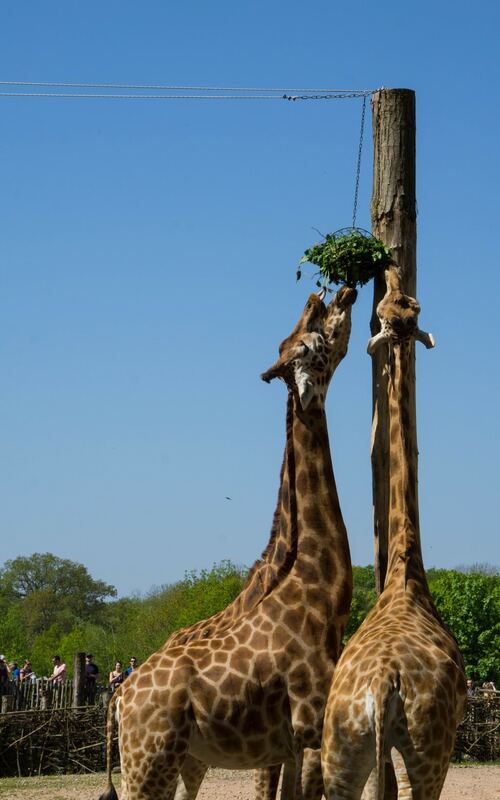 I love the Giraffe house at Marwell Zoo, they have an inside feeding area where you can get right up close to them. With a great outside area for them to roam and feed. They have animal talks throughout the day for different animals, the board with timings is at the start of the entrance. 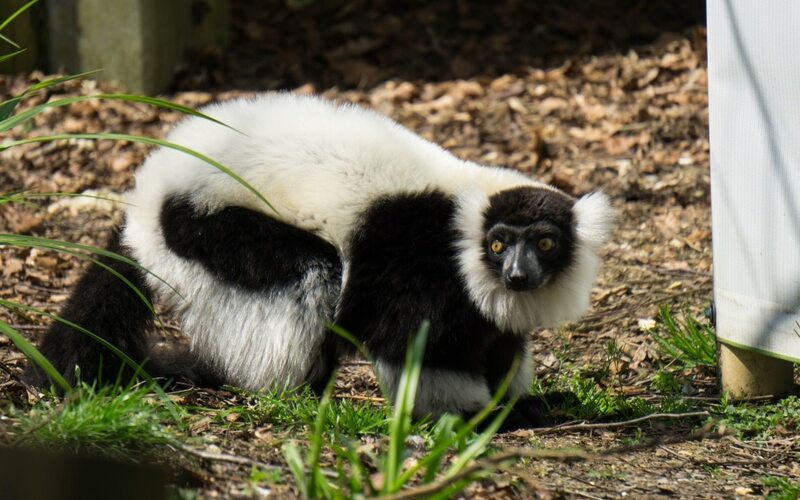 Since we last visited they have added Lemur Loop, this is a lovely addition to Marwell Zoo as the children love Lemurs but also you can walk with them. 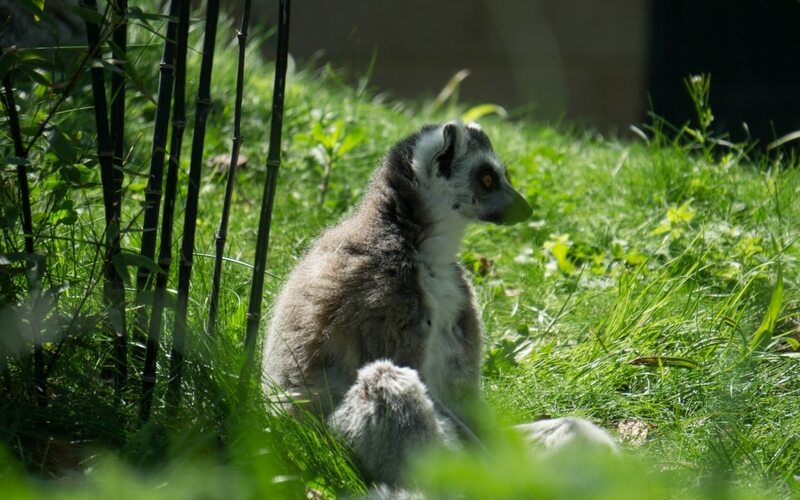 There is a path which you stick to but the Lemurs are free to run around, you can get so close to them. 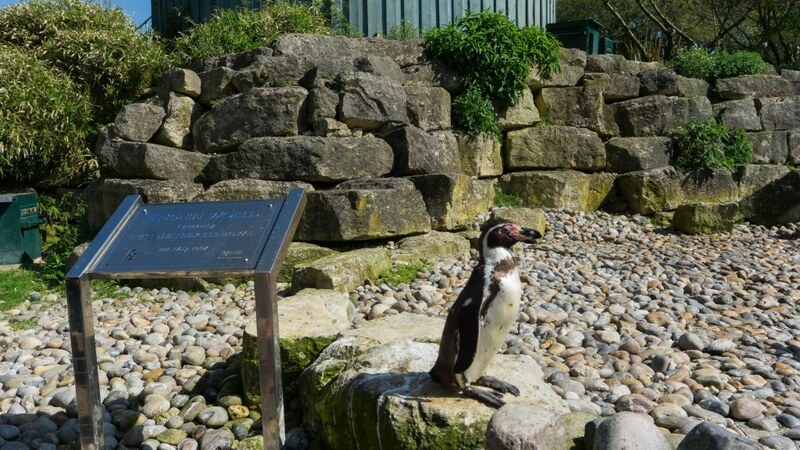 Keep looking around Marwell Zoo as there are fun activities and information stations for them to play with. 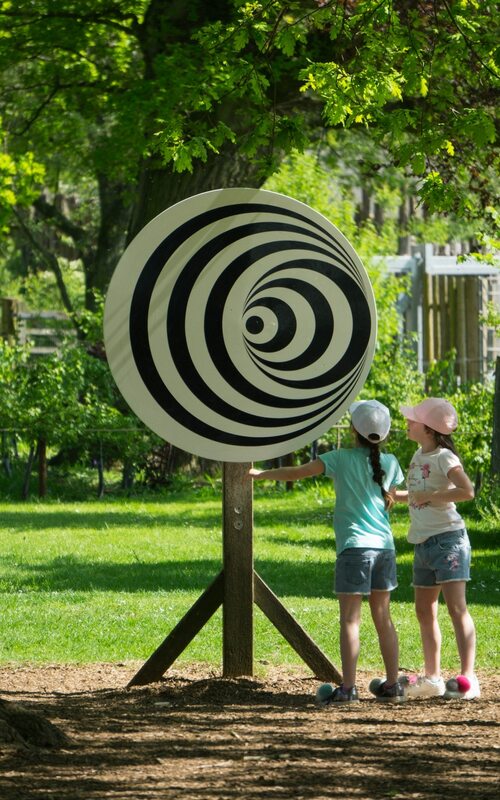 So many people loved this spinning disc, it looked very strange!! 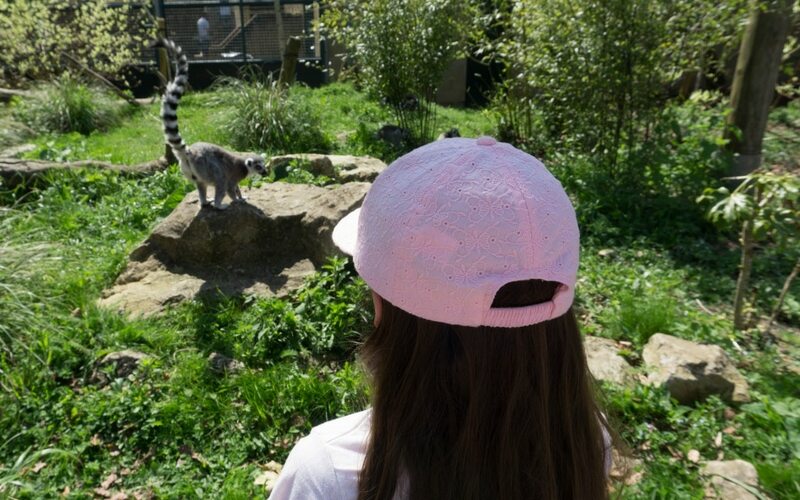 There are some small parks dotted around Marwell Zoo, I would have loved there to be a play area for bigger kids though as my girls are 9yrs old, son is 13yrs old and they still love a good play and climb around. 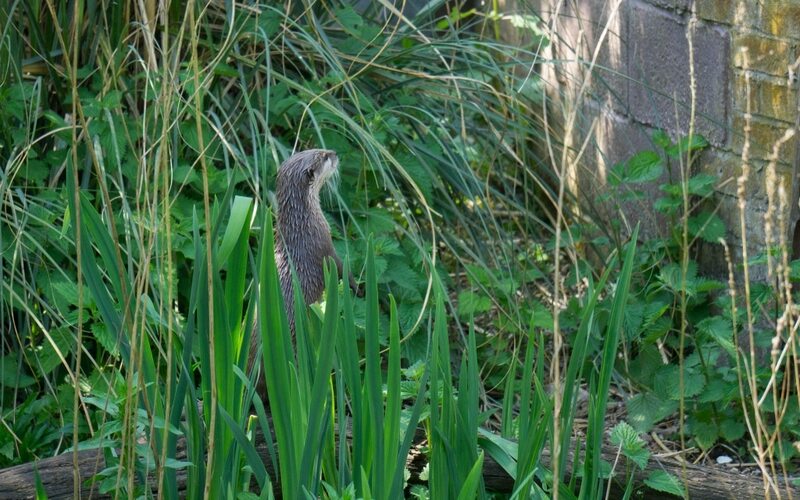 We only saw a couple of Meerkats, they were hiding! We also haven’t been since the Wild Explores area has been installed. 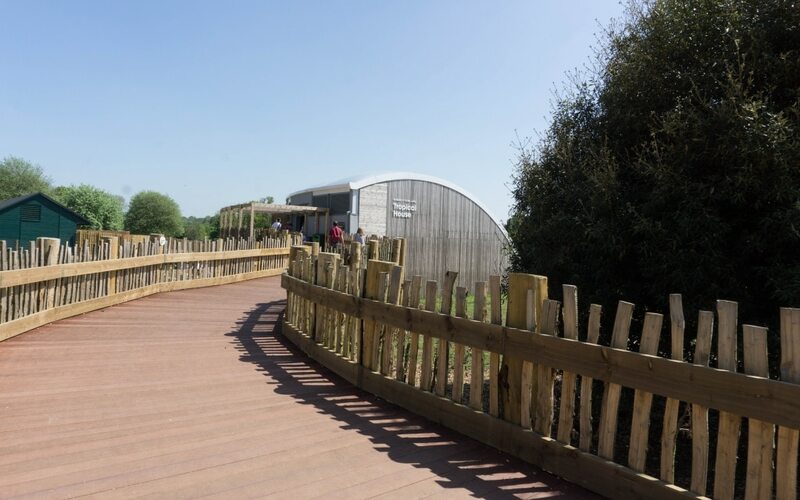 This is a lovely board walk area that takes you out to have a great view of animals such as the Rhinos and Zebras. I just managed to get a photo of the Tiger, he was hiding around the trees and just as I walked away he popped out! The queues for ice creams and drinks were very large. It was a very hot day, a lot of people and I did see a kiosk shut. This could have really been done with being open as no one wants to stand a queue for ages in the sun. We queued in one for 20 minutes to get the kids an ice cream. Now my children are older they get a different experience from visiting a zoo. 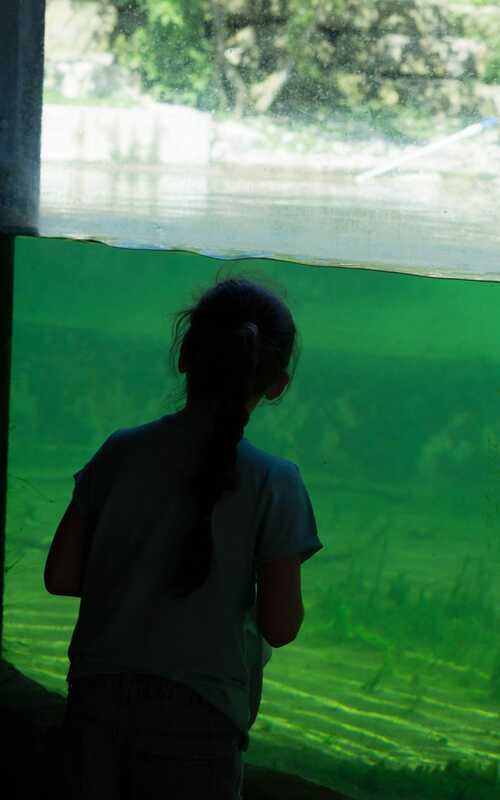 When younger they would have looked at the animals and enjoyed seeing them, but then moved on. Now they want to learn about each animal. 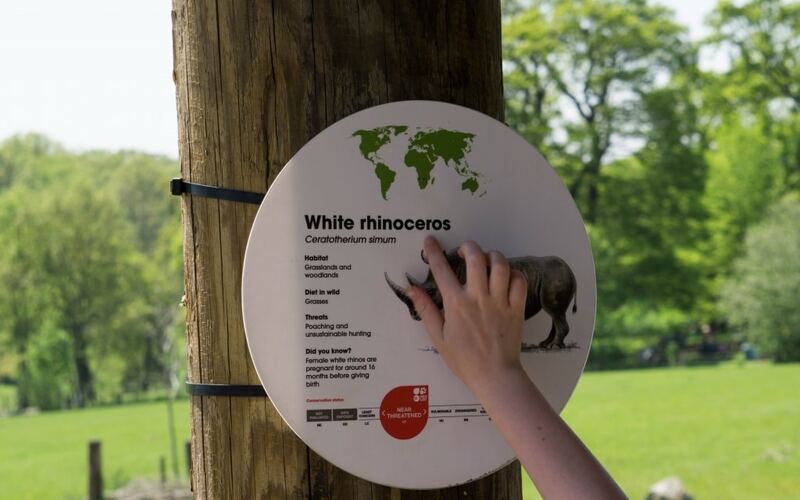 Marwell Zoo have fantastic information boards on each area. They are clear, simple, visual and just enough information for the children to understand. The world maps are great, and telling them how threatened the animals are too is so important for them to understand. We found one animal which was extinct in the wild. 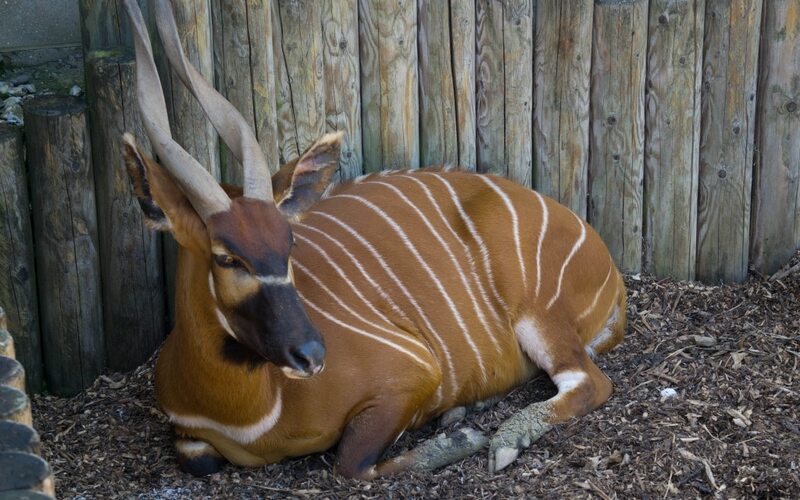 So this gave us the subject to chat about how the zoos are so important in breeding schemes and keeping the animals. 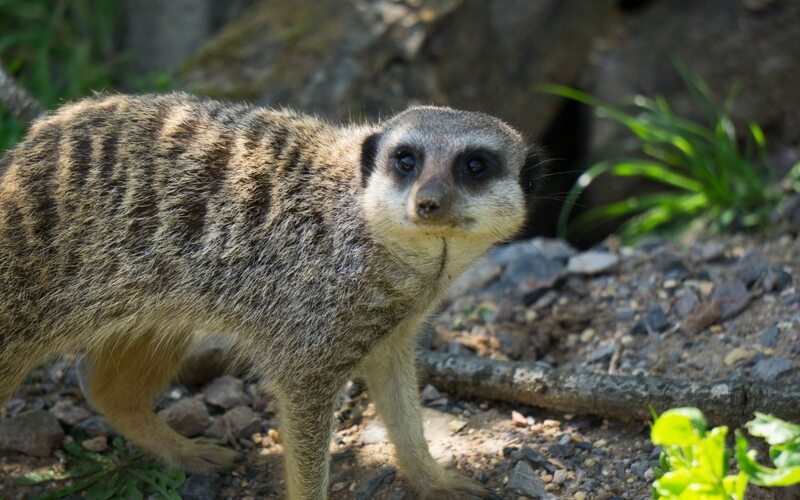 A big thumbs up Marwell Zoo for these. Next up was the Tropical House. This has only recently been opened and is pretty new. It’s a pretty special building! 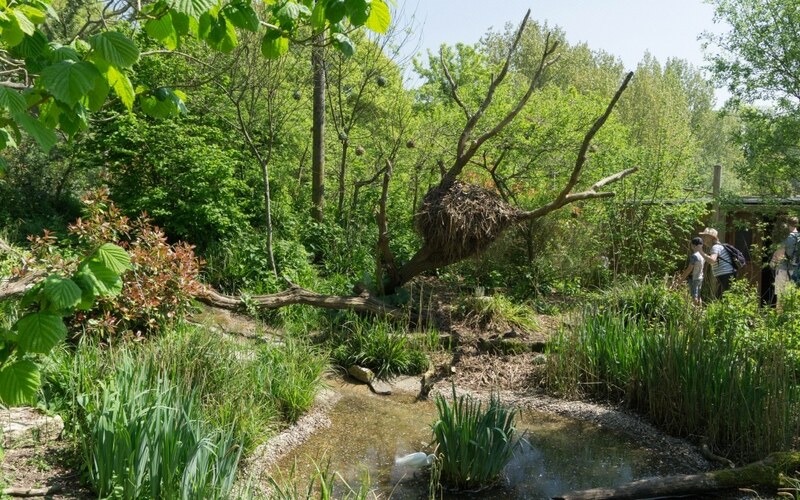 This is the second phase of a £17m investment programme which over the next eight-ten years will be working on creating improved habitats for animals and more immersive experiences for the guests. 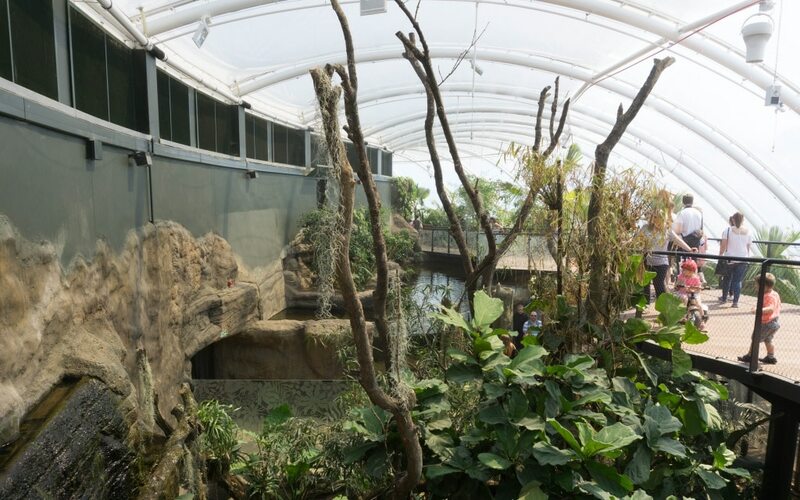 The Tropical House is leading the way in sustainability and using the 700 tonnes of animal waste for renewable energy within the zoo. They are going to use this to provide heating for buildings in around the zoo and reducing their carbon footprint. Which they have an interactive area afterwards showing you how this works and more hands on information. 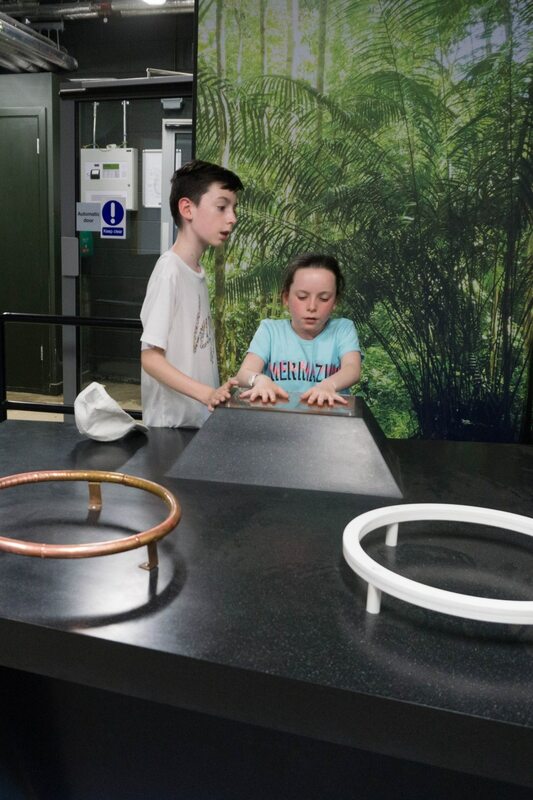 Inside you will find a range of animals, such as frogs, birds, marmosets, tortoises, insects, 2,500 fish in the 70,000 aquarium and a crocodile. I must admit we didn’t see many of these! 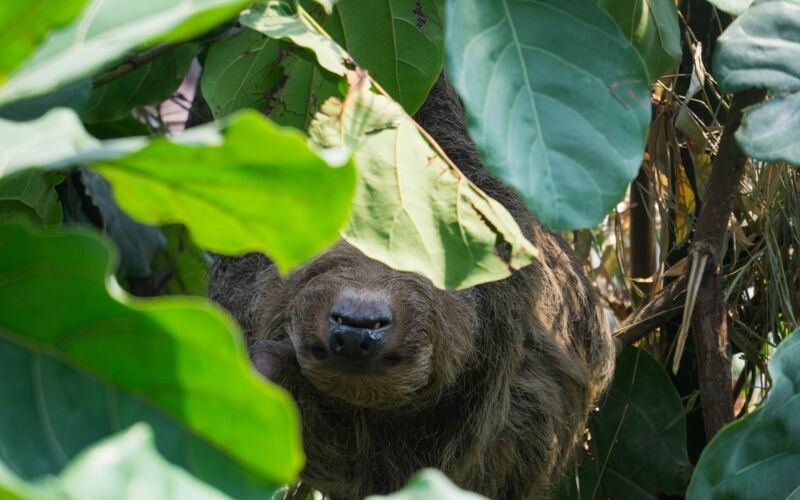 However we did see the two-toed sloth Rica! I was very impressed by the aviary, not only for the birds but my sons knowledge! 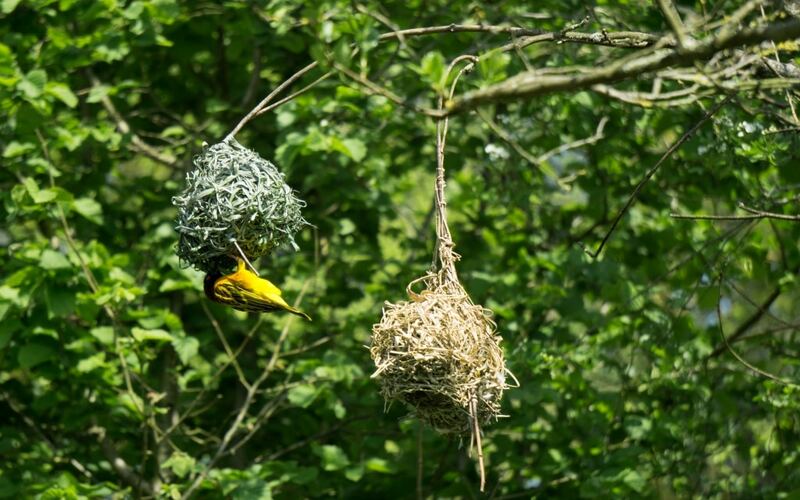 He knew about these beautiful birds who make their nests in a shape of a ball. 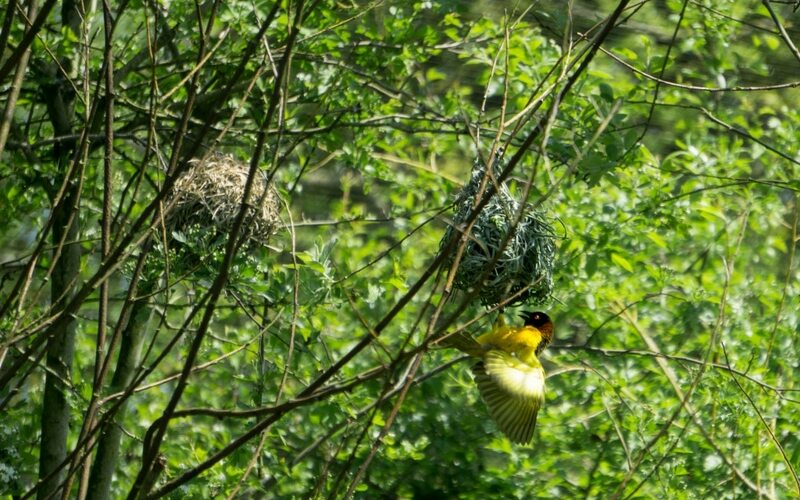 They were flying in and out of these amazing nests and I could have watched them for hours. 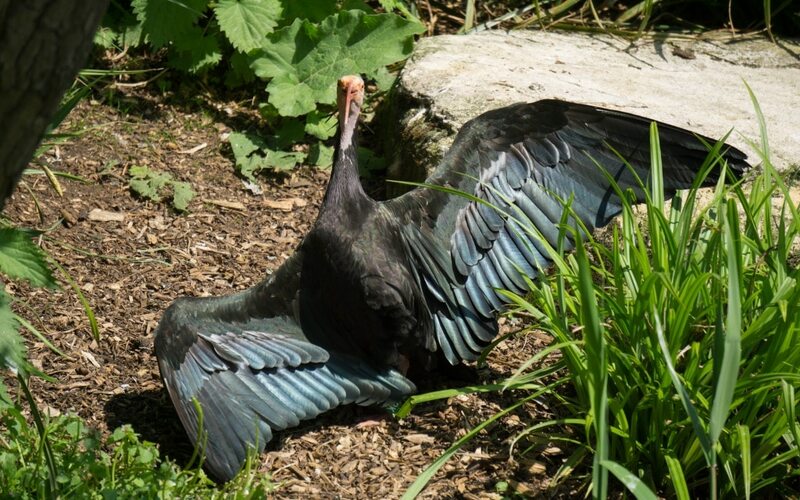 There was more birds walking around putting on a display! We even saw this guy catching a fish! As the day was getting on the kids were getting pretty tired in this heat. 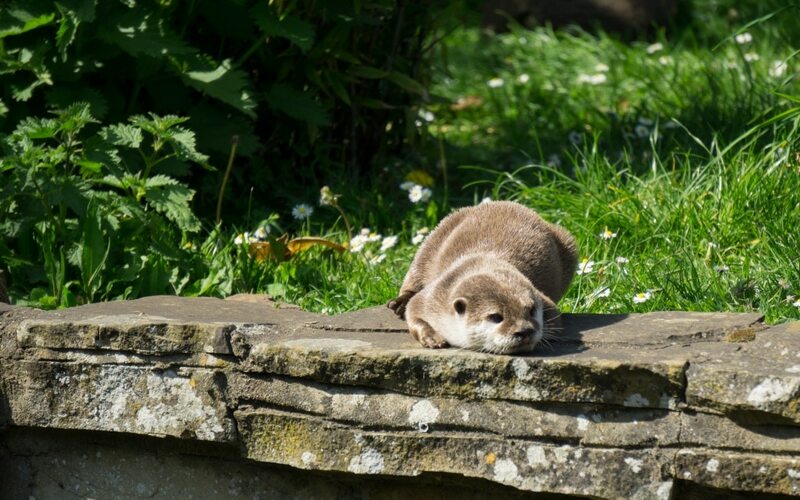 However they were spurred on by the Otters. They were putting a good show on for us, squeaking away at each other. We first thought one was stuck down on the bottom as they were all shouting at him with every move he did! However he happily got in the water and was swimming around, so I think he was fine. Just didn’t want to come back up with them. 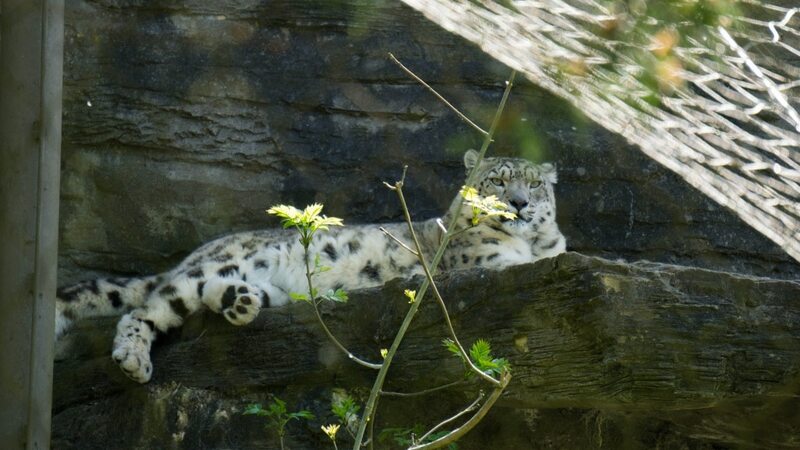 To finish off our day we found the snow leopard, what a stunning animal. You don’t want to miss this as it’s not very often you see one of these. He was my kids favourite, along with the giraffes! We had a good day at Marwell Zoo and think it would be a good place to get a annual membership for if you live near enough. There are plenty of green spaces for you to have a picnic at and we spent a full day there and I do think we missed some bits out too. A standard adult ticket is £20 with gift aid, child is £16, family ticket for 2 adults and 2 kids is £69. Annual member is £62 adult and £42 for a child. (Check website for up to date prices) Winter day tickets are cheaper. 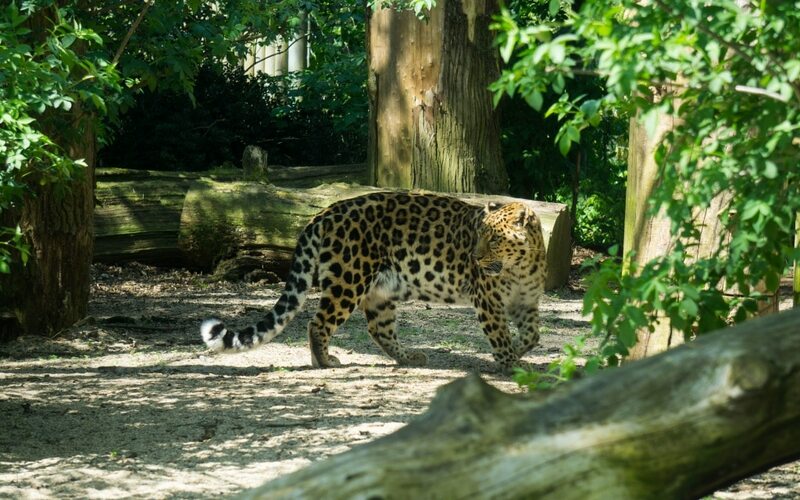 *We were given tickets for Marwell Zoo for the purpose of this review. However all words are honest and of my own. 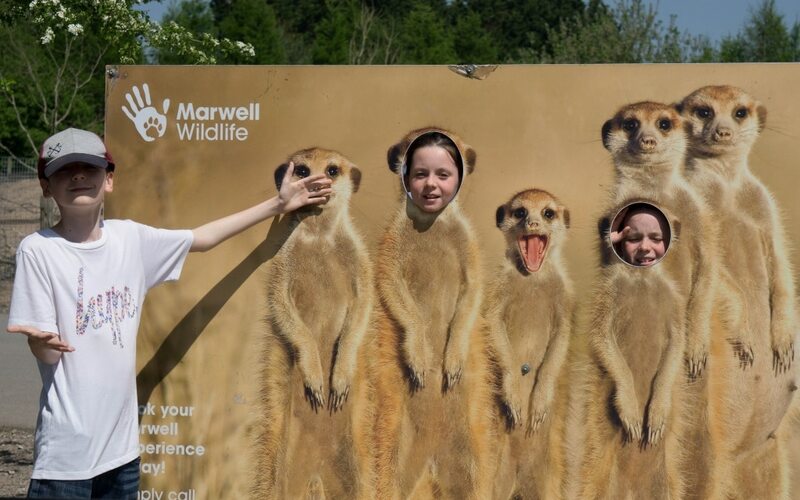 Like you we’ve not been to Marwell in years but what a birthday treat and on the gorgeous bank holiday weekend. 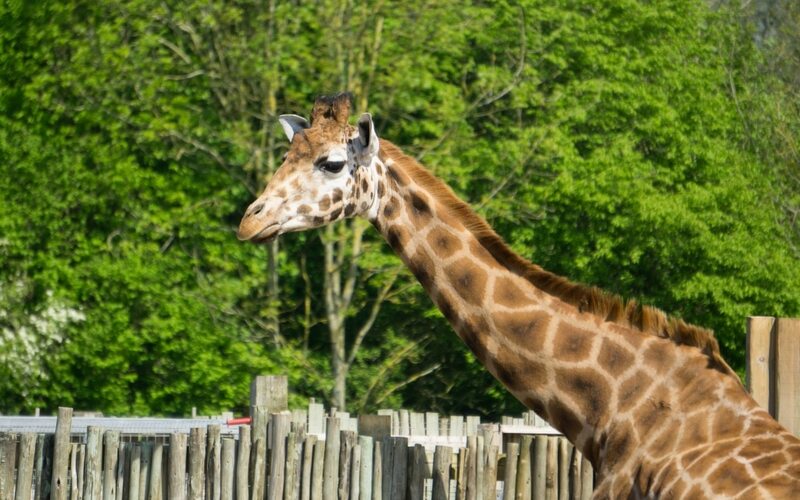 Seeing your giraffe photo reminds me of the last time we were there and a little boy shouted “There’s Farmer Nick” across the giraffes, it was one of our regular guests! 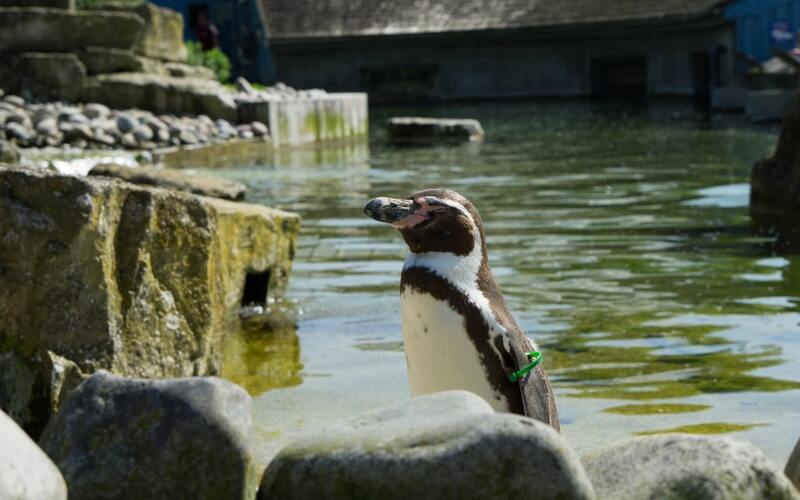 Penguins are always my favourite, I could watch them for hours. 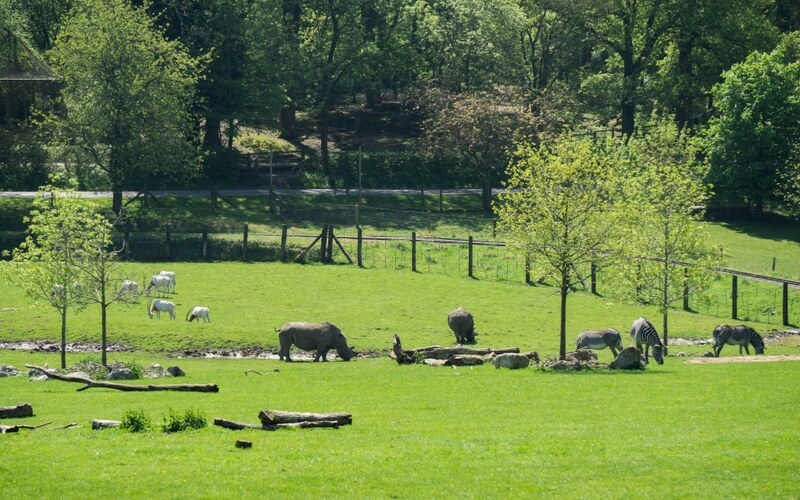 It looks like such a lovely visit in the sunshine and plenty of space to soak up the good weather and see the animals at play. Ahhh thats so cute of that little boy! Usually they struggle to recongise people when their not in their ‘environment’! He must of made a amazing impact on him! Small world isn’t it! 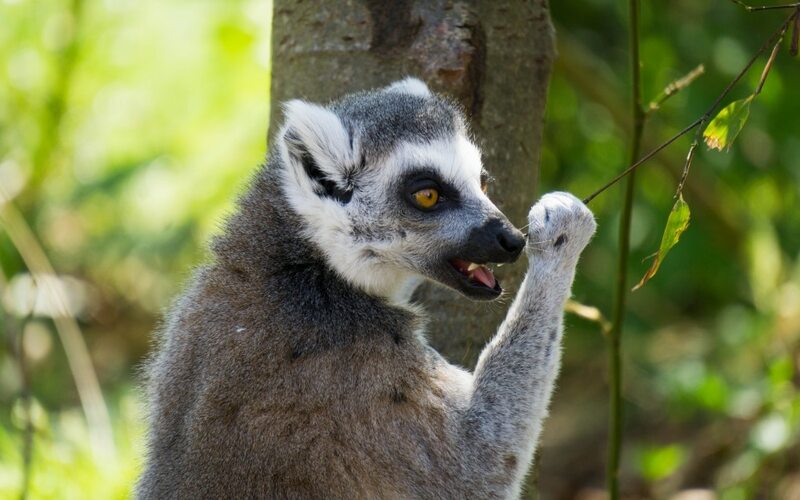 I haven’t been to Marwell Zoo since my school days! It’s actually not that far from us so i’ll add it to the school holiday list and make sure we follow your tips! Oh yes that would be a perfect place to visit in the school holidays, a full days worth of fun! Oh what a lovely zoo! We live too far away but I have heard some great things about this place and seen it on the tv too. Maybe when we are down that way we will go! Penguins I’m sold! This looks like a fab zoo! I loved how they were sunning themselves! This Zoo looks like a lot of fun. It’s great that it was very well spaced out so you could take pictures. Love marwell! Haven’t been in years but such a lovely zoo! Great tip about going right at the entrance to avoid crowds! I think everyone went left when they got there!!! Thank you, it is nice being able to take them along and now they can learn from the information.